The shelving in your home doesn't need to be just a storage unit here and there. With some thought and design imagination your interior can include some smart yet eye-catching storage that is perfectly built-in too. 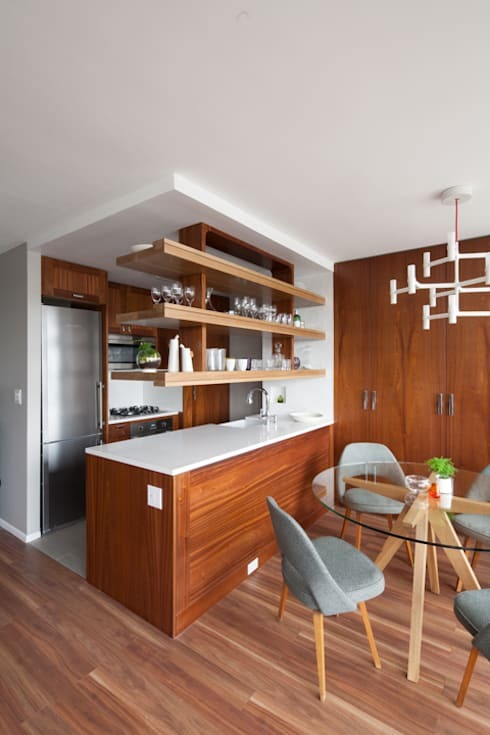 Let's take a look at this homify feature for 7 awesome shelving tips and tricks. A small kitchen may not have much cabinet space, but include some shelving above the counter for a sleek design that is so worth it. 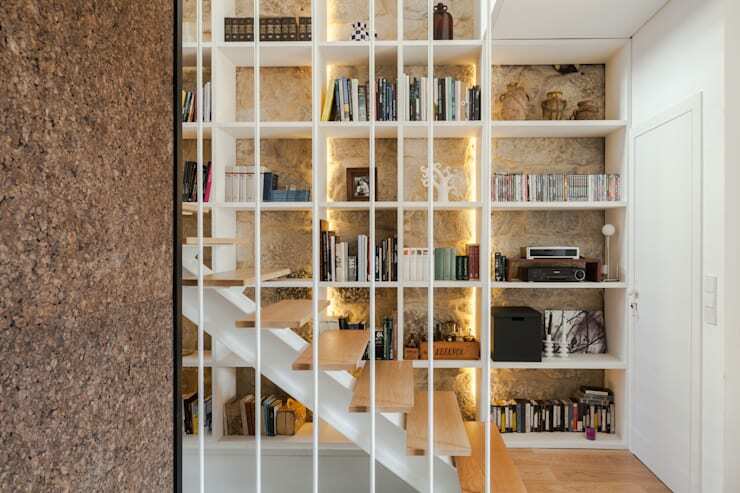 The staircase is an often forgotten choice for storage, but consider some simple shelves to keep those books and magazines neat, tidy and organised. 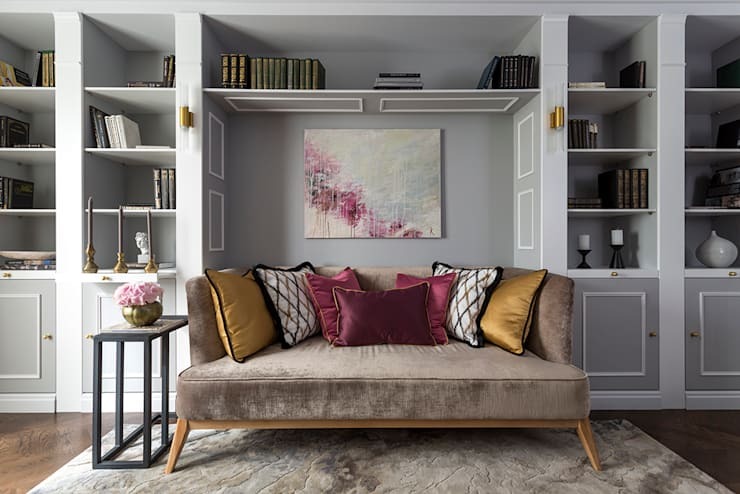 If you love the idea of a luxurious, modern library, then decorate your home with sensational shelves that allow for a comfortable couch too. You can't go wrong with a neutral colour palette for a fancy look that is perfectly stylish. 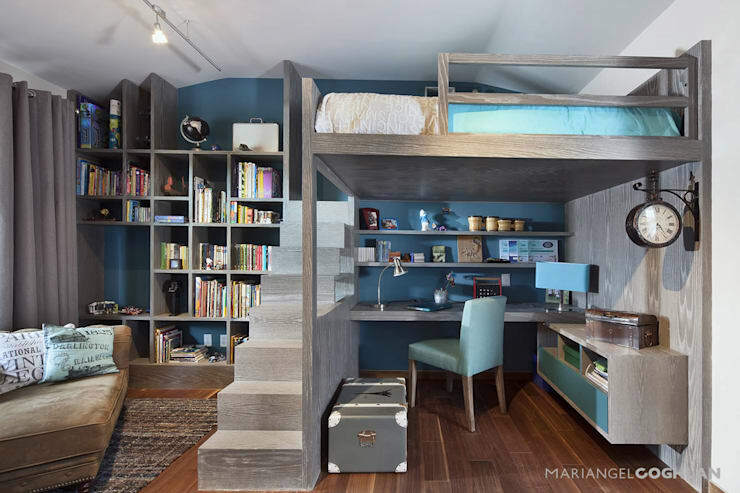 How about using the space in your studio apartment to its potential with perfectly planned shelving and an office to boot? 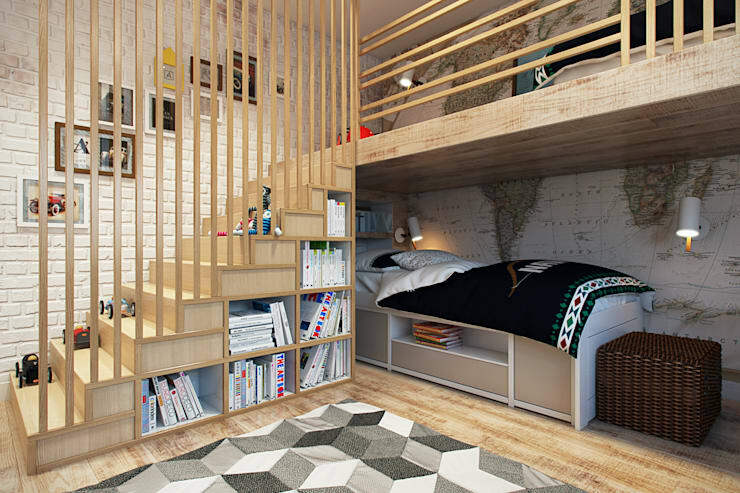 Shelves that lead up to your ceiling maximises storage and creates a seamless storage option too. Now, you can plan your decor for small books and display items or even those tall files and photo albums. 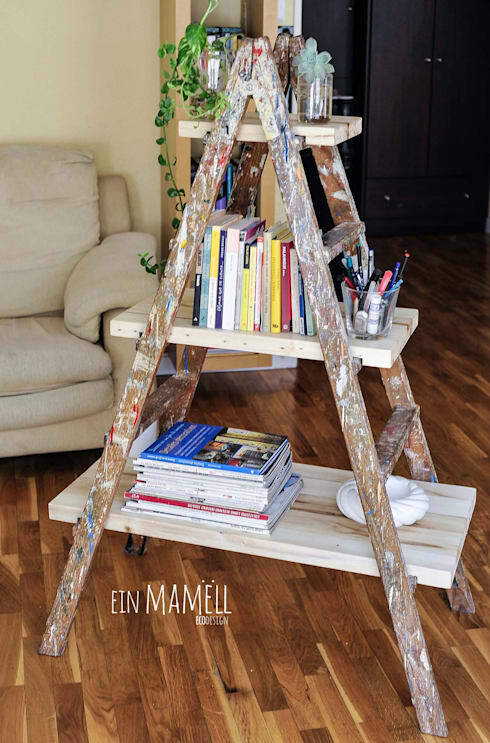 Repurpose an old wooden ladder with planks and add a shabby chic decor factor to your modern living room. Now, you can always have stationery, your favourite book or those general items at hand while you relax on the couch. What do you think about these smart shelves?